The G-20's Financial Stability Board will announce in July the list of insurers that should be subject to greater international supervision because of their importance to the global economy, the FSB said in a statement. The FSB, based in Basel, Switzerland, said the names of the of global systemically important institutions would be an "initial list" based on policy measures developed by the International Association of Insurance Supervisors. 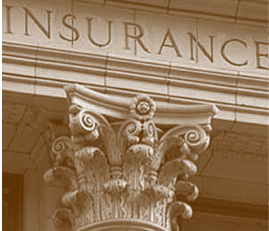 A list of reinsurers that should be deemed G-SIIs will be released in July 2014, the FSB said. Dave Snyder, vice president of international policy for the Property Casualty Insurers Association of America, said the business of insurance is inherently not systemically important. "The announcement by the FSB will be an important milestone," Snyder said. "We're watching it very closely because we have concerns about the inconsistencies that would be created for companies that are deemed systemically important versus those that are not. We're hoping for a good outcome." The companies receiving a G-SII designation will be subject to additional recovery and resolution planning requirements, enhanced group-wide supervision and higher loss absorbency requirements. "As a foundation for higher loss absorbency requirements, the [International Association of Insurance Supervisors] will as a first step develop straightforward, backstop capital requirements to apply to all group activities, including non-insurance subsidiaries," the FSB said. The IAIS has requested nonpublic data from about 50 companies doing business internationally, including 14 based in the United States. Prudential Insurance, American International Group Inc., Berkshire Hathaway and Metropolitan Life Insurance Co. are among the companies that the FSB is considering for a G-SII designation. AIG and Prudential have already been identified as "systemically important financial institutions" by the U.S. Financial Stability Oversight Council and could face additional federal scrutiny. Prudential said earlier this month it has submitted information to the FSB as part of the non-bank G-SIFI evaluation process. The way the two systems are set up, it is conceivable that a company could avoid a SIFI designation from the FSOC but still receive a G-SIFI designation from the FSB. The FSB designated 29 banks as G-SIIs last year and had been considering whether to add non-bank companies to that list. The board is composed of representatives of all G-20 countries and the European Commission. The insurance industry has been pushing back against efforts to label individual insurers as systemically important, both in the United States and internationally.